Cristiano Ronaldo is a master of crunch moments. Season after season, he has stepped up when his team required him the most and delivered against all odds. And after years of popping up for his team at the much needed hour, this seems almost like a routine for Cristiano. And he does it again to salvage a 2-2 draw for his new team against Atalanta. It was a rare occasion as Juventus' new talisman was rested as they went on to face Atalanta. Cristiano Ronaldo arrived at Turin from Real Madrid only this summer but settled in quickly with his new teammates and surroundings. He has already proven vital for Juventus in front of goal and their latest match was no exception. 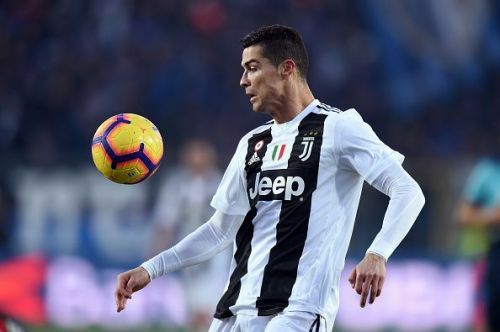 With Cristiano Ronaldo on the bench, Juventus struggled to put the ball into the net as Atlanta were leading the match 2-1 for major halves of the game and Juventus were with a man less on the pitch after Rodrigo Bentancur was sent off. It was in the 65th minute when a 10-men Juventus finally turned to the saviour. And with 13 minutes to go, Cristiano repaid their faith to salvage a 2-2 draw. It was from a corner which was going into the far post as Mario Mandzukic placed the ball into the middle only for Cristiano to make it 2-2. As usual, Cristiano put the ball into the net when it mattered the most and no wonder he is already a fan favourite among the fans at Turin. Juventus' unbeaten streak was on the line when Cristiano came into the pitch. 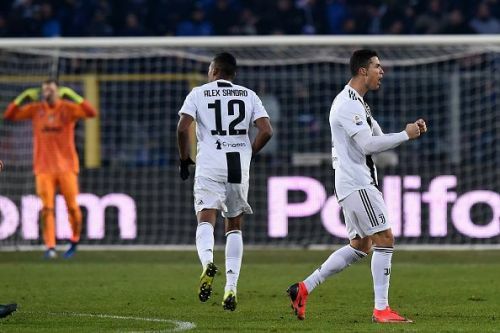 They are unbeaten in the Serie A thanks to Cristiano and their only defeat this season came against Manchester United in the UEFA Champions League. Even then, Cristiano had his name in the score sheet although it was for a losing cause. As a result, Cristiano kept Juventus' hopes of being invincible alive as they strive on with their majestic unbeaten run in the league. They are with 16 wins and two draws from 18 games and are nine points ahead of Napoli, with Carlo Ancelotti's side set to play against Inter in this matchday. Cristiano also managed to score in his 7th successive away game and made a new record in the process. It is no surprise as Cristiano has a nasty habit of stepping up at the crunch moments. He has helped his team either with a goal or an assist in almost every big match which includes the likes of Lazio, Napoli, Torino, Fiorentina, Milan and Empoli for Juventus this season. He is the second highest scorer in the league with 12 goals and provided 5 assists for his teammates so far. Cristiano Ronaldo is not getting any younger as he will turn 34 years old this February. But there's no doubt that the big man still remains the biggest threat inside the box and he is constantly striving hard to etch his name in the history books and cement his legacy in Italy. What's next for Massimiliano Allegri and Juventus' superman, Cristiano Ronaldo?